It is just over twenty years since THAT fateful decision: the 1993 Railways Act privatised British Rail and replaced it with National Rail. John Major’s government promised much for the commuter: more flexibility, reduced fares, improved investment, and greater efficiency. All this would be brought about, he argued, through increasing competition with the introduction of the franchise system, allowing the Conservatives to sell off another state asset in their quest for a minimal state. Fast forward twenty years and the picture is in diametric opposition to that Major envisioned: fares have increased dramatically for certain tickets, standard single tickets being a good example, and the overall cost of maintaining the railways has almost doubled. Multiple private monopolies have replaced the government run system. These are put out to tender, at considerable cost to the taxpayer, and often to foreign governments. The ‘winner’ is awarded the contract for up to fifteen years, which means that there is limited competition between those tendering thus no internal pressure on prices. Millions of pounds of taxpayers’ money subsidise these companies in order to merely to provide a basic service. 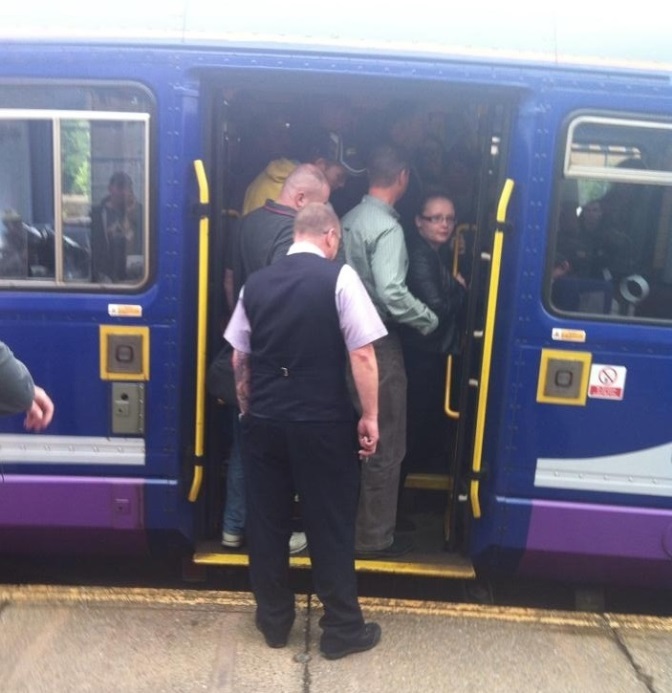 This is well evidenced in the case of Northern Rail, who collected £707 million subsidy and premium. Wait, I hear you say, surely with the increased fairs and subsidy there must be improved investment? Well, although some development has taken place, it hasn’t been enough to satisfy demand. Trains are dangerously overcrowded; there is often little chance of obtaining a seat on peak journeys on trains more suited to the railway system of the 1970s than the 21st Century. The Hadfield crash, in 2000, uncovered the lack of investment in the railways infrastructure by Railtrack, which has now been taken back under state control. The most galling aspect of our current aspect of our ‘franchised’ privatised rail system is the involvement of the foreign state control of our railways: three quarters of our railways are now in ‘foreign’ hands: three quarters! This means that shareholder profits from ‘our’ railways go into improving or reducing fares for citizens in other countries such as Germany or the Netherlands. Is there a better way? We have a system that is already operating and returning more than two hundred million pounds to the treasury: the state operated East Coast mainline. Moreover, this state owned service received substantially less in subsidies; more people travelling; and increases across all levels of customer satisfaction. This proves that state owned railways can be efficient even when they are ‘the people’s railways’. Yet, despite all this evidence, this Conservative Government plans to rush through a re-privatisation before the next election: one has to ask why, when it isn’t to increase efficiency or save money. The Green Party proposes that public ownership of the railways would not only enhance our current infrastructure, but would also save one billion pounds a year of taxpayers’ money. Savings can then be invested in improved additional stock and the railway infrastructure, improving the service for passengers and reducing the overcrowding, thereby encouraging more people to travel on public transport. It would also mean the end of inflation busting prices rises for commuters while shareholders take increasingly more profits. What is more, this could be done at very little cost to the taxpayer: unlike Labour’s proposed plan of state bids for franchises. Current franchises could be taken under into public hands as they expire. The time has come for another approach: the ‘people’s railway’ must return.